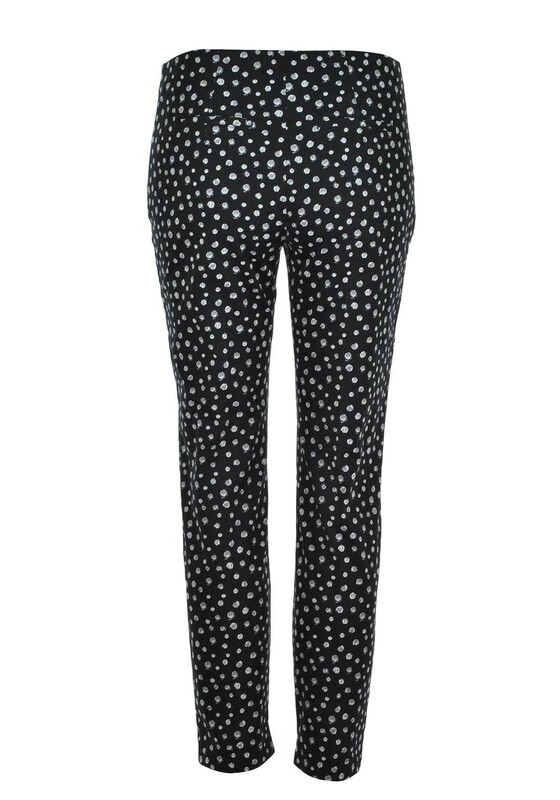 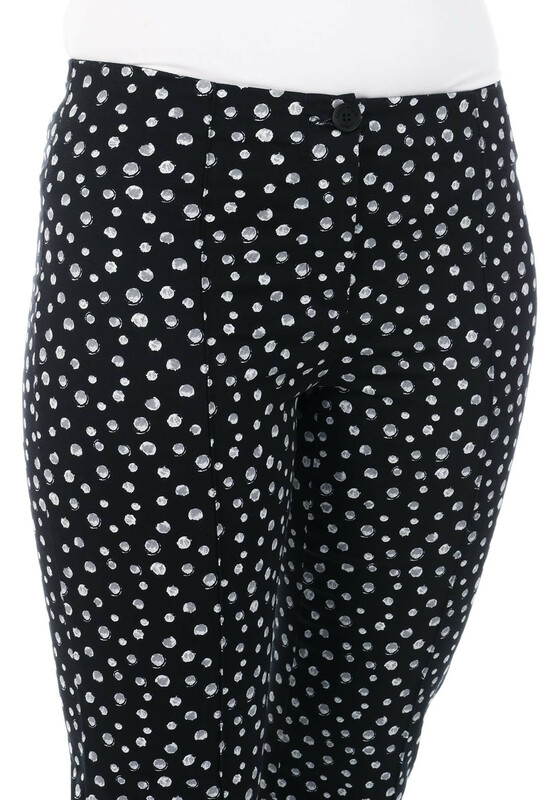 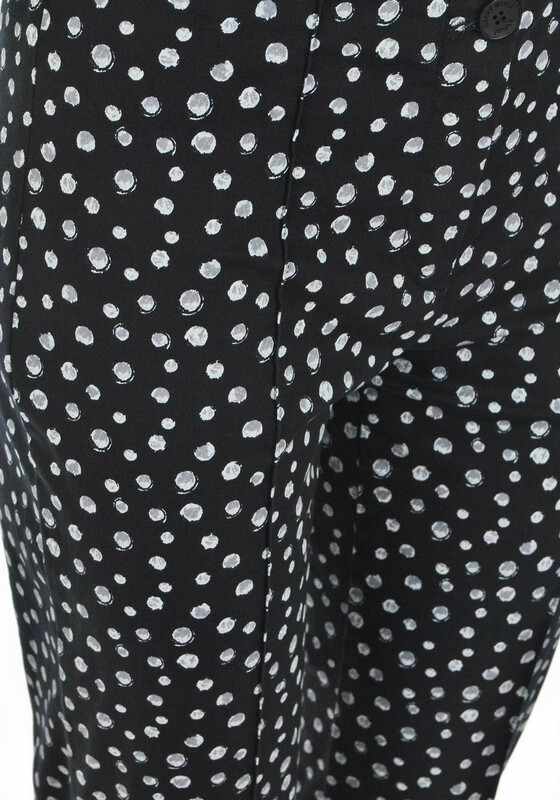 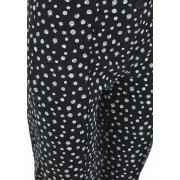 Gerry Weber presents these comfortable easy wear cropped trousers with small circle print. 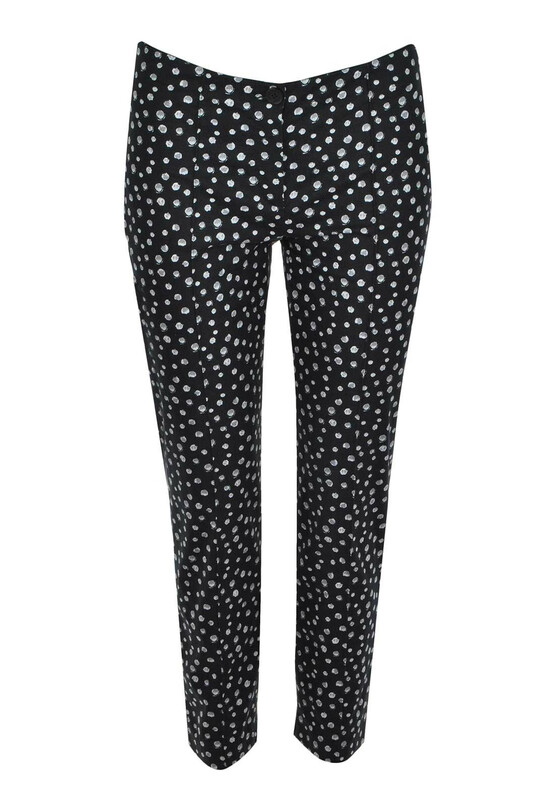 Add a blouse for a smart day time casual look. 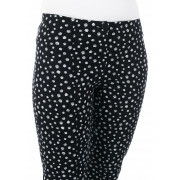 Crafted from a soft fabric with a high rise waist band and a slim leg. 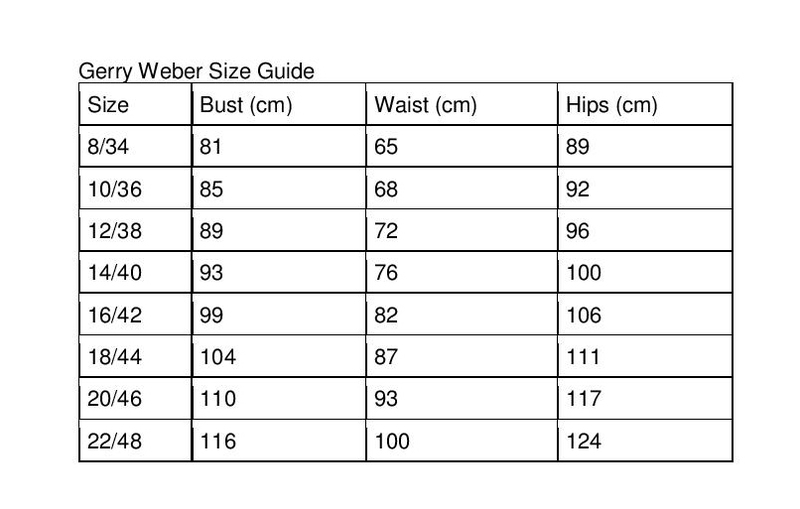 Extra details include a button and zip to fasten.